October is packed with over 30 inspirational and educational business events to support Central Australian small to medium enterprises to start, run and grow. 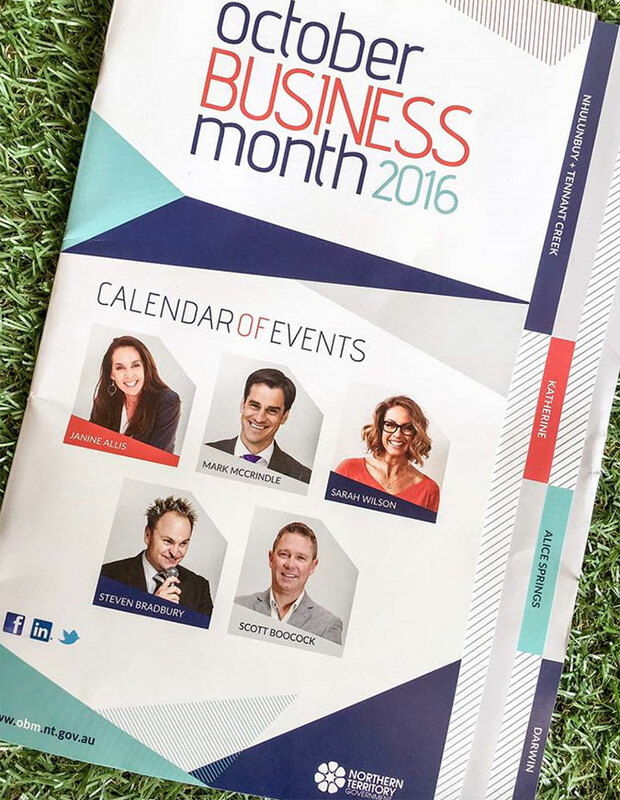 The October Business Month (OBM) program provides Territorians the opportunity to hear from high calibre, experienced business speakers and to share ideas, develop their skills and expand their networks. Janine Allis, founder of Boost Juice, Retail Zoo and investor on Shark Tank, in Alice Springs on 3 October. Mark McCrindle, recognised leader in tracking emerging issues and researching global trends and TEDx speaker, in Alice Springs on 21 October and at the Tennant Creek Business Dinner on 22 October. Senior Economist David de Garis will present an insightful ‘Outlook for the Northern Territory and Australian Economy’ in Alice Springs on 26 October. Other highlights include the Australian Institute of Company Directors and CPA Australia Business Dinner in Alice Springs on 13 October with guest speaker, Chairman of Coopers Brewery, Glenn Cooper. The Department of Trade, Business and Innovation will present ‘The Business of Doing Business’ on 26 October in Tennant Creek outlining the many programs and services they offer.